Professor Jatin P. Shah graduated from the Medical College of MS University in Baroda, India, and received his training in Surgical Oncology and Head and Neck Surgery at Memorial Sloan Kettering Cancer Center. He is Professor of Surgery, at the Weil Medical College of Cornell University, and Chief of the Head and Neck Service, Leader of the Head and Neck Disease Management Team, and holds The Elliott W. Strong Chair in Head and Neck Oncology at Memorial Sloan-Kettering Cancer Center in New York City. Dr Shah is a national and international leader in the field of head and neck surgery, having served as President of The New York Cancer Society, The New York Head and Neck Society, The Society of Head and Neck Surgeons , The North American Skull Base Society and the International Academy of Oral Oncology.. He is Founder of The International Federation of Head and Neck Oncologic Societies, in 1986. He currently serves as Chairman of the AJCC task force on Head and Neck. He was Chairman of the Joint Council for advanced training in head and neck oncologic surgery in the USA. He was also Chairman of The 4th International Conference on Head and Neck Cancer in Toronto in 1996. He has served in varying capacities for The American Board of Surgery, and The American College of Surgeons. Professor Shah has been the recipient of numerous awards from various parts of the world, and is the recipient of honorary fellowships from The Royal College of Surgeons of Edinburgh, London and Australia. He holds Honorary Ph D, degrees from the Catholic University of Louvain, in Belgium and the University of Athens, in Greece. Heis recipient of the Blokhin Gold medal, the highest Honor in Oncology in Russia. He has been elected as an honorary member of several head and neck societies in Europe, Asia, Australia, Africa and Latin America. He has been continuously listed in the “Best Doctors in America” directories for several years. He serves on the Editorial and Review Boards of 18 scientific journals and has published over 300 peer-reviewed articles, 50 book chapters and 7 books. His textbook of Head and Neck Surgery and Oncology won First Prize from The British Medical Association and The Royal Society of Medicine and was awarded the George Davey Howells Prize from the University of London, for the best published book in otolaryngology in the preceding five years. Croatia, Turkey,Egypt, South Africa, India, China, Korea, Japan, HongKong, Taiwan, Singapore, Phillipines,Australia, Argentina, Brazil, Chile,Peru, Equador, Venezula, Panama, and Mexico. . 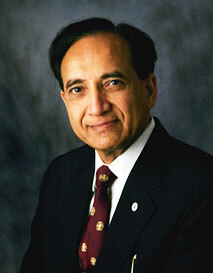 In recognition of his outstanding contributions, and World Leadership in Head and Neck Surgery, Memorial Sloan Kettering Cancer Center, has established The “Jatin Shah Chair in Head and Neck Surgery and Oncology”, The International Federation of Head and Neck Oncologic Societies has established “The Jatin Shah Lecture”, at it’s world congresses, and the American Head and Neck Society has established the “Jatin Shah Symposium” at it’s annual meeting.